A New Dentist In Assonet Offers a Different Kind of Dental Experience! As a dentist in Assonet and the new owner of Woodside Dental, welcome to our first blog! Each month, you’ll find helpful information here on a wide range of topics – everything from the “how and why” of various dental procedures, to great oral health tips for everyone in the family. 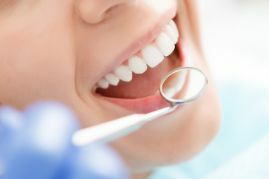 For this first blog, you’ll get an introduction to our services and find out why you’ll get a different kind of dental experience here. Whether you’re looking for a new dentist or you’ve been a patient at Woodside for a long time, we look forward to serving your dental needs for many years to come! Comments Off on A New Dentist In Assonet Offers a Different Kind of Dental Experience!